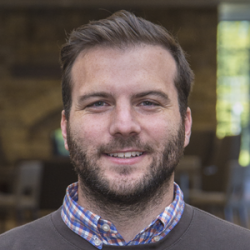 RD McClenagan is the Pastor for Training and a Teaching Pastor at Door Creek Church (a multi-site church) in Madison, WI. RD is a graduate of Furman University and Dallas Theological Seminary. He is married to Emily and they have twin 2 year old daughters, Maisie and Camille. RD is particularly passionate about communicating the Bible to non-Christians, the skeptical, and people suspicious of Jesus and church. He loves reading, good coffee, C.S. Lewis, and spending time with his wife and girls in Madison, especially when the snow melts.